When it comes to starting a new homeschool year, we’d all like to start the year out right without stress. 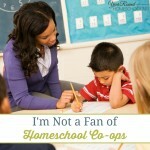 Yet, having that perfect start can be difficult for most homeschool moms. Just as life happens, stress happens too. However, that doesn’t mean that you can’t start out on the right foot with a bit of preparation and planning! One of the reasons I took the entire month of July off this summer was because I wanted to enjoy summer. Normally I bounce from one homeschool year into the next, but I needed a change this year. Year round homeschooling is a blessing, but if you’re not careful you and your kids can get burnt out on a journey that is supposed to be filled with amazing memories. With a new homeschool year just around the corner – literally – I am looking forward to taking steps to ensure that we start off a new homeschool year stress free! Start the year out right with a flexible plan that covers the first few weeks. This will allow you to transition into a new homeschool year without feeling stressed that if you don’t keep up you will fail for the year. Plan some fun ways to switch things up should you and/or the kids have a bad day. There’s nothing like switching to a fun activity to help change a rough day around. Stock up on school supplies during sales. Keep a kit of all basic supplies hidden so that you’ll always be able to find what you need. 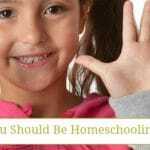 Choose a curriculum that makes your job as a homeschool mom easier. Look for at least one curriculum or resource that your children can work on without you. This can give you time to work with another child, make lunch, change out laundry, etc. Gather a support system. You need to surround yourself with family, friends and others that will support you and your homeschooling journey. It is important to have someone in your life that you can call and vent to or get advice from if you’re struggling on your homeschool journey. Be sure to surround yourself with people that will only help your homeschool journey rather than the ones that will leave you doubting. Make a lunch menu at the very least. 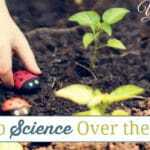 Homeschool moms often stress out over one simple thing. Lunch. Instead of stressing over the midday meal while trying to get lessons done, build a menu that allows you to stay on track and not stress when the kids get hungry. Perhaps the best way to start the homeschool year stress free is to make self-care a priority. Find time to focus on yourself giving yourself the opportunity to feel refreshed and ready for each day. Homeschooling can be a challenge and a test of your patience. Give yourself time to take care of your needs and have a bit of quiet time to make your days less stressful. This will make it easier to cope with the days that are challenging. Ensure your children get some time for self-care as well. As children age, they become much like us. They too need a bit of quiet time away from the rest of the family to clear their minds and relax. Give yourself a bit of grace. Stress sneaks in when we are too hard on ourselves. 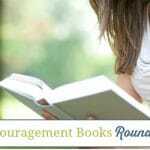 Give yourself grace and time to adjust to the homeschool year. Cut yourself some slack and don’t try for perfection. Stress free homeschooling is possible, but it requires us to slow down and remember why we started homeschooling. Our children’s education isn’t on a time restriction, one of our goals should be to raise lifelong learners. Each child is unique and learns in their own time and at their own pace. By keeping these key points in mind, homeschooling stress free becomes easier to come to life! How do you begin a new homeschool year stress free?